My annual faith convention always plans fun activities for families. So this year, my wife, Cindy, and six-year-old daughter, Caroline, joined me in Omaha for a weekend of fall festivities. The glass doors opened to the lobby of the Hilton Omaha and we were greeted with a relaxing waterfall and welcome signs for my faith convention. While checking in, the front desk clerk informed me of the glass skywalk connecting the hotel to the CHI Health Center across the street, where my meeting was taking place. “How convenient!” Cindy said, smiling. The desk clerk handed us our welcome package with the weekend’s planned events along with a guide to nearby events and entertainment. We headed up to the room to unload our bags. CHI Health Center is close to more than 3,000 downtown hotel rooms and a glass-enclosed skywalk connects it to the 600-room Hilton Omaha. 194,300 sq. ft. of exhibit space is completely customizable to suit any event. CHI Health Center Omaha offers 346,000 sq. ft. of hosting possibilities. 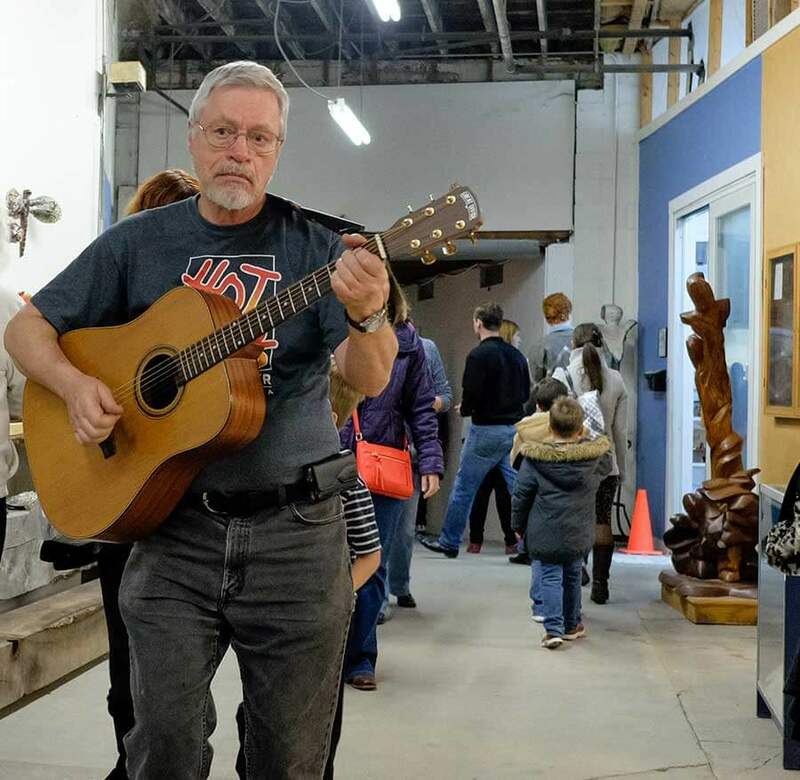 After enjoying burgers on Jackson Street Tavern’s bustling patio, we started our walk through the Old Market—enjoying the quaint cobblestone streets lined with local shops, restaurants and ice cream parlors—toward the Bob Kerrey Pedestrian Bridge. Cindy had read that the bridge spans 3,000 feet and at the halfway point there is a line dividing Nebraska and Iowa. “I’m in two states at once!” Caroline exclaimed, straddling the state line, arms up over her head in triumph. Cindy and I laughed and Cindy snapped a picture on her phone. While walking back across the bridge to our hotel, we stopped to admire the Missouri River below and the skyline ahead. After only a couple hours in Omaha, my family and I were already falling in love with the city. A bus picked us up outside the Hilton for our welcome dinner at Omaha&apos;s Henry Doorly Zoo and Aquarium. Caroline brought her binoculars to get a better look at the elephants, which she told us repeatedly were her new favorite animal. When we got to the zoo, we started at the Scott Aquarium. We watched penguins waddle, were mesmerized by the floating jellyfish under the florescent light, and watched the sharks, stingrays and sea turtles swim around us in the water tunnel. I could have sat there and watched the sharks swim above all night, but Cindy kept our schedule in mind. Caroline dutifully reported everything she saw through her binoculars. “Let’s check out the Desert Dome before it’s time for dinner,” Cindy suggested. The Desert Dome is the world&apos;s largest indoor desert, under the world&apos;s largest geodesic dome, above the world&apos;s largest nocturnal exhibit. Cindy and Caroline were quite impressed as we traveled through the exhibit, finding plant and animal life from Africa and Australia. I couldn&apos;t stop staring up at the glazed geodesic dome—I wished we had more time to explore. We then headed to the impressive African Grasslands exhibit. More than 28 acres of giraffes, impalas, ostriches, zebras and elephants—Caroline was in awe. A little later, we enjoyed a catered dinner arranged by our convention at the African Lodge—made up to look like a grass hut—before boarding the bus back to the hotel. Caroline rested her head on my shoulder. "I love Omaha," she said with a satisfied, sleepy smile before dozing off. 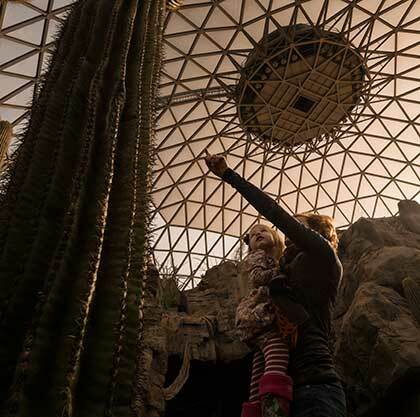 Visit the world’s largest indoor desert under the world’s largest geodesic dome. 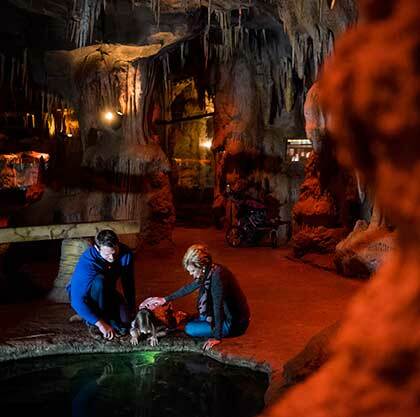 Visit the world’s largest nocturnal exhibit at the Omaha Zoo. 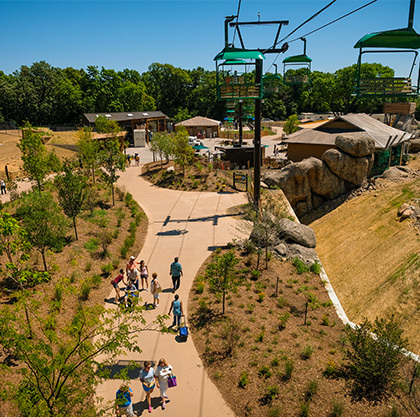 Get a bird’s eye view of the world’s best zoo on the Skyfari. 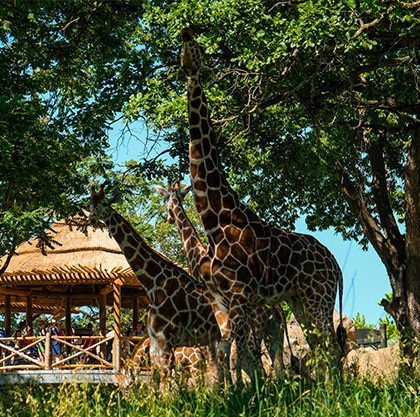 Feed the giraffes and stand eye-to-eye with the world’s tallest animals. 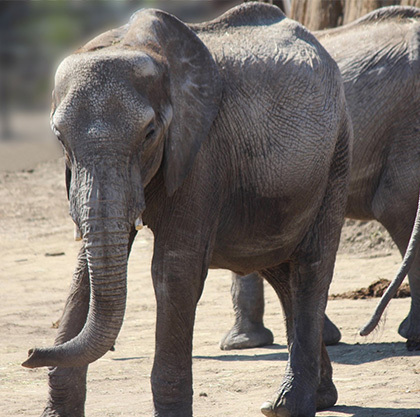 Visit with the elephant families at the African Grasslands. I had a full schedule of sessions, workshops and speakers the next day, so Cindy and Caroline boarded a convention-provided bus to visit the historic Boys Town. “Have a wonderful day, girls. See you later for our event at the Hot Shops,” I said, then waved as the bus pulled away from the drive. I had toured Boys Town, a village and non-profit organization that cares for children and families, on a previous trip and was excited that Cindy and Caroline would be able to learn about its history and the amazing Father Flanagan, its founder. Cindy and Caroline were scheduled to go on a volunteer-led tour through the Hall of History, Dowd Chapel, Chambers Chapel, Garden of the Bible and historic Father Flanagan House. I knew Caroline would enjoy the Father Flanagan Shrine and Rose Garden while Cindy, being the history buff that she is, would hang on the knowledgeable tour guide’s every word. 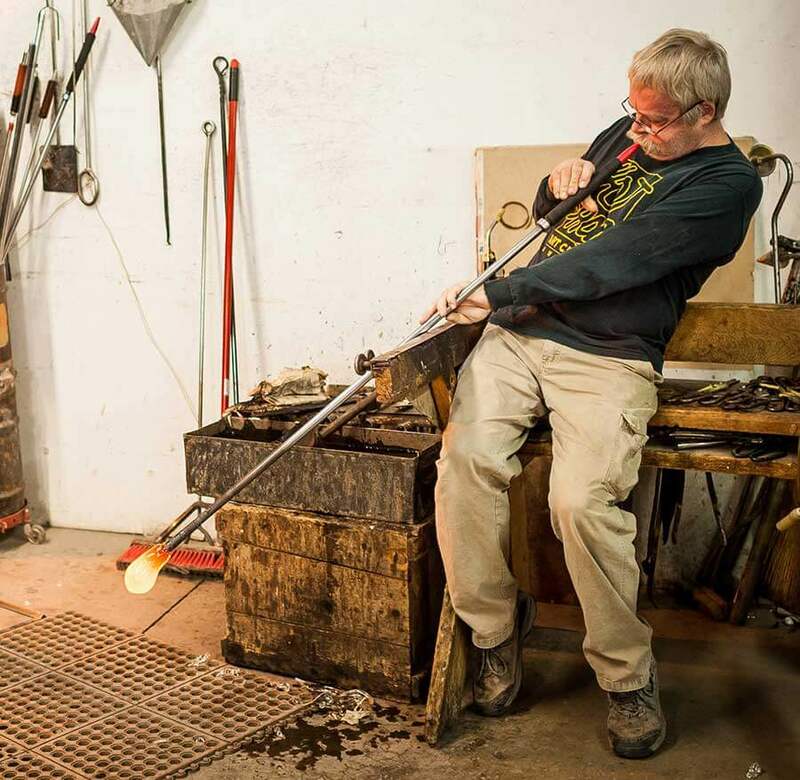 We’re going to watch a man create glass art using that really hot oven. “I played in the priest’s school,” Caroline said as I greeted them at the Hot Shops Art Center. “What are we doing here?” Caroline asked, looking around at the artist galleries and the glowing orange oven in the corner. The artist wore protective clothing in the form of jeans and long sleeves despite the incredible heat of working with the oven. He told us they keep the oven going 24 hours a day, seven days a week. It was truly fascinating to watch him pull the malleable form from the oven then blow and spin it into a glass cup. Caroline watched with rounded eyes and applauded when he placed the finished piece on his workbench. The artist came over to our seats and bent down to address Caroline. “You can take it home as a souvenir once it cools,” he offered. “Thank you very much!” she exclaimed. We strolled the gallery spaces, admiring the incredible range of talent, from the paintings and sculptures to the jewelry and custom-crafted lamps. 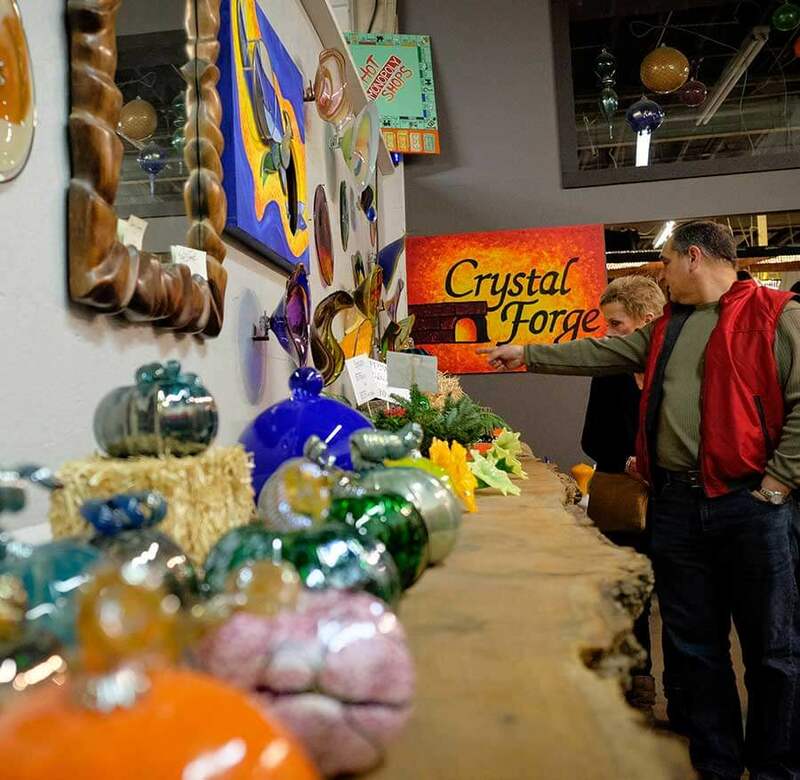 “I’d like to bring some pottery home,” Cindy said, holding up a blue ceramic bowl to examine it more closely. “Do we have to go home tomorrow?” Caroline asked while holding my hand. I could tell Cindy felt the same way. 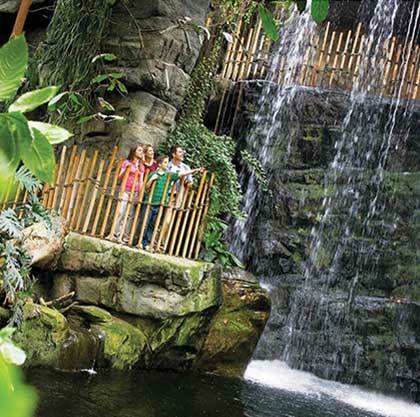 Discover more things to do during your family’s visit to Omaha.